I haven’t gotten any motivation to write any blogposts or reviews recently so I’ll just write something to just keep it somewhat alive. Currently the VPS this website is hosted on is mostly relegated to run discord bots and scripts that I have written for fun. 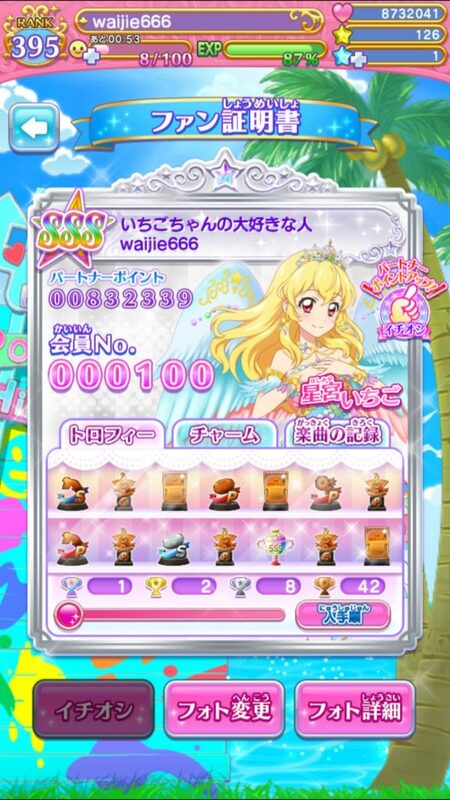 Photokatsu wise, I have achieved certain milestones and have pretty much stopped playing currently, waiting for its death. Thoroughly bad luck on my last few rolls didn’t really raise my motivation. No PRs on rate ups in 4×11 rolls. I enjoyed the game very much throughout almost 2 years of playing. It’s more part of my life for the past two years as I have never fail logging in since I have started playing. I have also done FC on most of the songs which I didn’t actually anticipated it would happen due to me being really crap in rhythm games. I have improved so much in this game but still my weakness still prevents me from finishing a remaining few of them but I am still happy with my accomplishments. I feel slightly empty to see it gone soon, but at the same time, it will actually release a burden from myself to try other new stuff or just rest more. I have reached SSS Ichigo sometime in March 2018, boy this is really tiring, but it’s always worth it for my forever no.1 Aikatsu idol Ichigo. Milestone reached: Getting into top 100 for Ichigo fanclub. 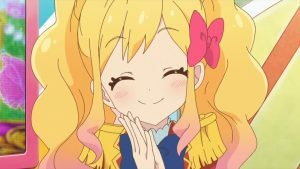 I am still watching Aikatsu Friends/Prichan/Hugtto Precure but I am afraid I won’t be writing any reviews due to me being lazy. 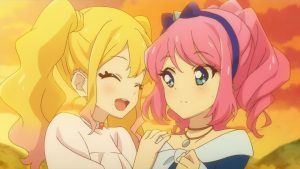 I still like the direction of Aikatsu Friends is going but it’s a bit too early to proclaim whether it would be great or not. I feel that it is better than what I feel for Aikatsu Stars for now. I can’t really comment much on Prichan, because I still don’t see where the plot is going yet. There are always boring episodes mixed with interesting episodes for now.